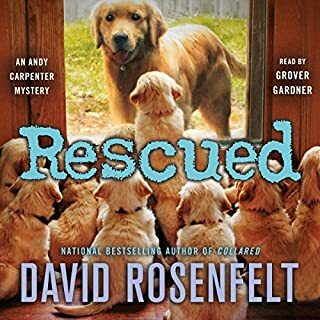 It will take more than Andy's usual courtroom theatrics to save this dog, including a little help from his beloved Golden Retriever, Tara. 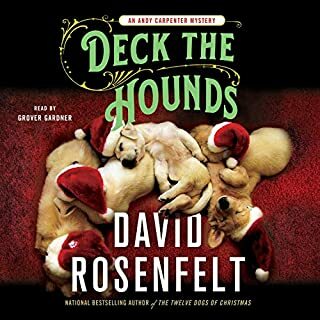 Andy soon discovers that anyone around him is in danger, including his longtime girlfriend, Laurie, and he will have to muster all of his wits to save those he holds most dear. David Rosenfelt, a native of Paterson, New Jersey, is a graduate of NYU. He was the former marketing president for Tri-Star Pictures before becoming a writer of novels and screenplays. He currently lives in Southern California with his wife and 35 dogs. Grover Gardner, a Washington, D.C.-based actor, director and audiobook narrator, has been a member of the Woolly Mammoth Theatre Company in Washington, as well as resident director at Everyman Theatre in Baltimore. Recently, he has been active in educational theater, directing student productions for local universities, and teachings graduate-level courses in acting and voice-over work. He has recorded over 450 audiobooks and was named by AudioFile magazine as one of "Best Voices of the Century". ©2009 David Rosenfelt (P)2009 Listen & Live Audio, Inc. 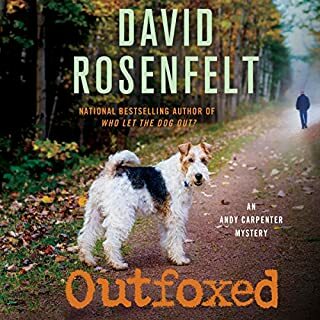 I only recently learned to appreciate dogs, since I love cats better; but, all the same, I recommend Mr. Rosenfelt's legal thrillers, all of which have dogs as protagonists. 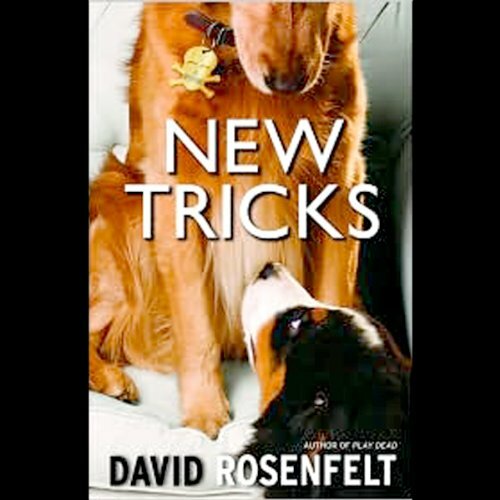 "New Tricks" features a darling puppy, a grouchy judge, and a wealthy, dog-loving attorney. That attorney, Andy Carpenter, has an enviable, fun, long-distance, relationship with his girlfriend, who plays a prominent role in this book. We end up rooting for the relationship, as well as the dog. 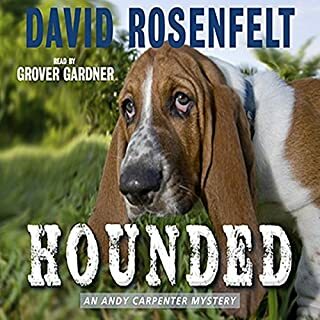 Although I don't like Grover Gardner's voice as much as some of the other actors who narrate audiobooks, I have to admit he does a pretty good job reading the story. I like this series, I have only read three but i gave it 5 stars because I will definitely read the next in the series. Andy and his dog tara are gentle and kind with a dry sense of humor that makes me chuckle. The mystery plot is well written and all of the clues are there if you can catch them. I can never figure out the murderer but once revealed it is an obvious choice. The other reviews are right, there could not be a more perfect narrator. This installment isn't the best of the Andy Carpenter series, but it is still wonderful. It is a tad different because it "resolves" some things (no hints) for some characters I have come to "care" about. I think Grover Gardner is one of the best narrators out there. This story doesn't solve the world's problems, but it is an interesting and entertaining yarn. I love the humor and familiarity of the characters. I've read them all and look forward to the next one by Mr. Rosenfelt. This was a quick read that kept a good pace. The dogs added funny moments, but this was not a "dog" story. It is a murder mystery, "who-done-it", that has enough characters to keep you guessing but not so many that you can't remember who people are. It is light on the gore, violence and romance and heavy on the problem solving and clues. If you are looking for a simple and enjoyable read, give it a try, it is worth the credits! All I can say is "keep writing" I have enjoyed all your work.. I was born and raised in the Boston area, and your books bring me back. Your humor is dry, but very funny. Andy Carpenter is at the top of his game in New Tricks. All our favorite characters are back to one degree or another. The case is virtually impossible, and even if you think you know who dunit, you probably don't. Our favorite judge, Hatchet, is present and there is humor an mystery in volumn. 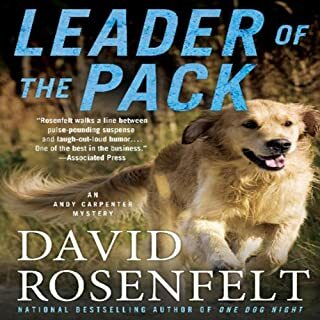 If New Tricks is your first Rosenfelt book, and it does a good job of standing alone, you'll definitely go back and read the others in the Andy Carpenter series. Grover Gardner does a great job on the narration. I love Andy Carpenter. These books are so funny. I love listening to Grover Gardner. I'm off to find more David Rosenfelt and/or Grover Gardner books. Andy is back! another great book with all the great characters! 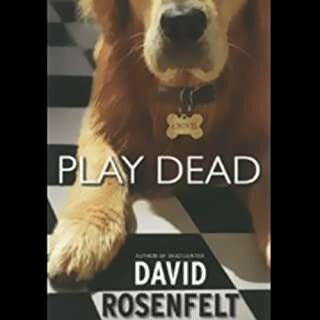 I've read all of David Rosenfelt's "mystery" with a Dog books and loved them all. Lovable character, good plot, satisfying conclusion. And a hint of humor. Good reading.